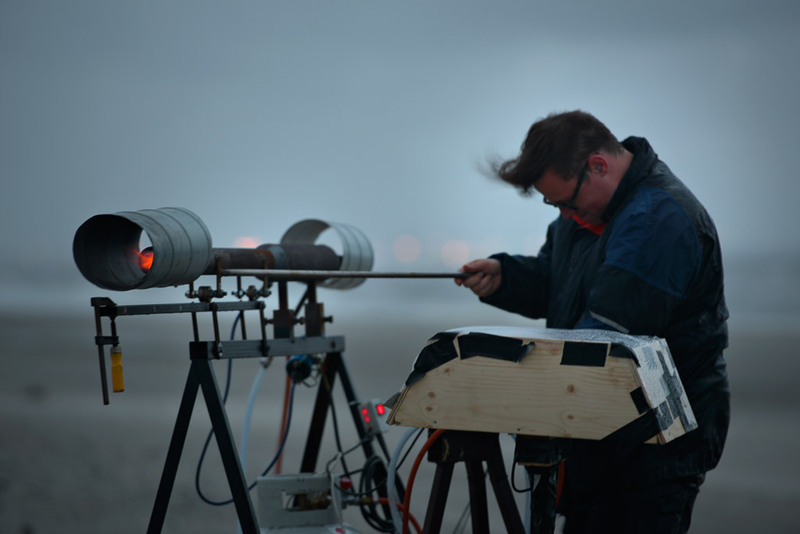 Copenhagen based composer and iii founding member Lars Kynde has invited Tobias Lukassen and Christian Liljedahl from the artist initiative Illutron in Copenhagen to cooperate on the production of a new work, ”Pulse Jet Symphony”, that will be first developed at Illutron and then further developed in The Hague and presented by iii together with Satellietgroep and TodaysArt at the Zandmotor. 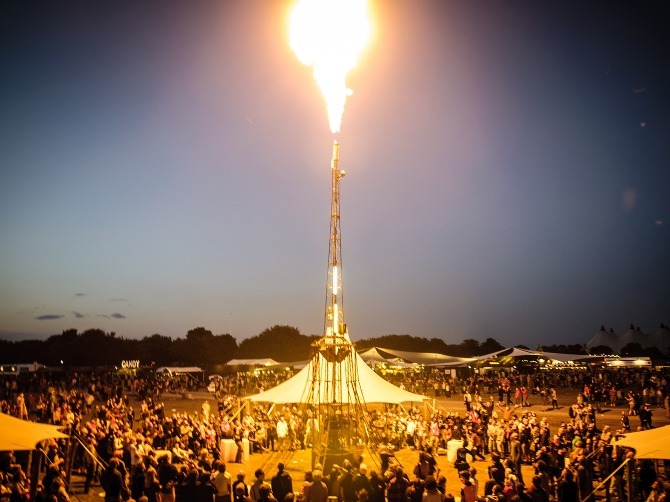 Lars Kynde is a composer that delights in creating the instruments on which his compositions are played – in fact these two aspects of music making are not so easily separated in his case and the invention of new instruments and the music created for them melt into surprising new forms. Christian Liljedahl is an artist creating interactive installations and performances. Inviting the spectator to participate in various ways he uses any media possible to bring the idea to life. In 2005 he quit a career as computer consultant and civil engineer. Since 2008 he has been a full time artist, working with the group Halfmachine / Illutron. Tobias Lukassen is a sound designer and an artist whose work spans multiple media, through the interest in a balanced combination of science, technology and philosophy. Since 2011 he has worked in several art, film, theatre and music. In 2016 he will complete his degree in sound design with a focus on acoustics and psychoacoustics. 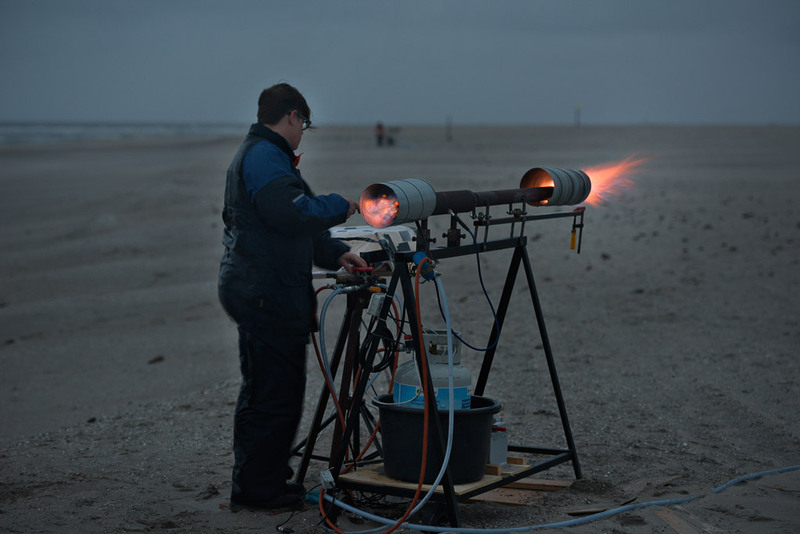 Pulse Jet Symphony is a composition that unfolds on the scale of a landscape. The work employs instruments based on the pulse-jet technology first developed by the Germans to send rockets against England. Due to their loud sound, the pulse-jets can be heard over large distances. 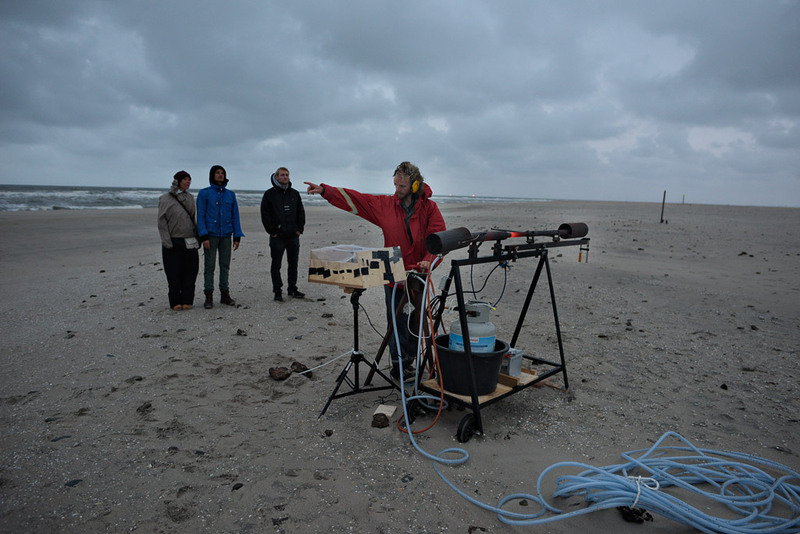 Several pulse-jet motors will be arranged around the Sand Engine creating rhythmical and spatial sound patterns that will change depending on the position of the listener. The musical score will consist of a mapped route through the sonic landscape.